As the newly designed production, 6 In 1 Multifunctional Phone Lens for iPhone 7/8 Plus assembles fisheye, wide-angle, telescope and macro lens that provide 6 kinds of selections for you. It can be switched by toggling. As the newly designed production, 6 In 1 Multifunctional Phone Lens for iPhone 7/8 Plus assembles fisheye, wide-angle, telescope and macro lens that provide 6 kinds of selections for you. Different from traditional switching mode, this phone leans can be switched by toggling. In addition, the outer shell can be functioned as a protection of your phone when it falls on. With all of these advantages, You will be no doubt enjoy shooting. • Pay attention to dust-proof. Don’t touch glass lens by fingers or other things and remember to put on the cover and put it in the bag after using it. • No water-proof, please don’t put it on damp place. • The built-in lenses are made of highly translucent material, so it may be broken if falling onto hard objects. • There are two lenses in one row of the sample but they cannot be used at the same time and only one lens can be used for one direction. If you need to use other three lenses, you need to insert them in a different directions. I feel I got my money's worth. I've used the lenses and they work just fine. I've taken several pictures with them and posted them on Instagram/facebook and everyone likes them. There are several companies selling the same idea but these are reasonably priced and work as well as anything else out there. I've recommended them to my friends. Good service, got them quickly and in fact, just in time to go out of town for some picture taking. Thanks so much! I bought this case because I was curious what the quality of the lenses would be like. I am presently surprised by how clear the images are out of the lenses and the quality of the case. I’ve included images showcasing images from the lenses. 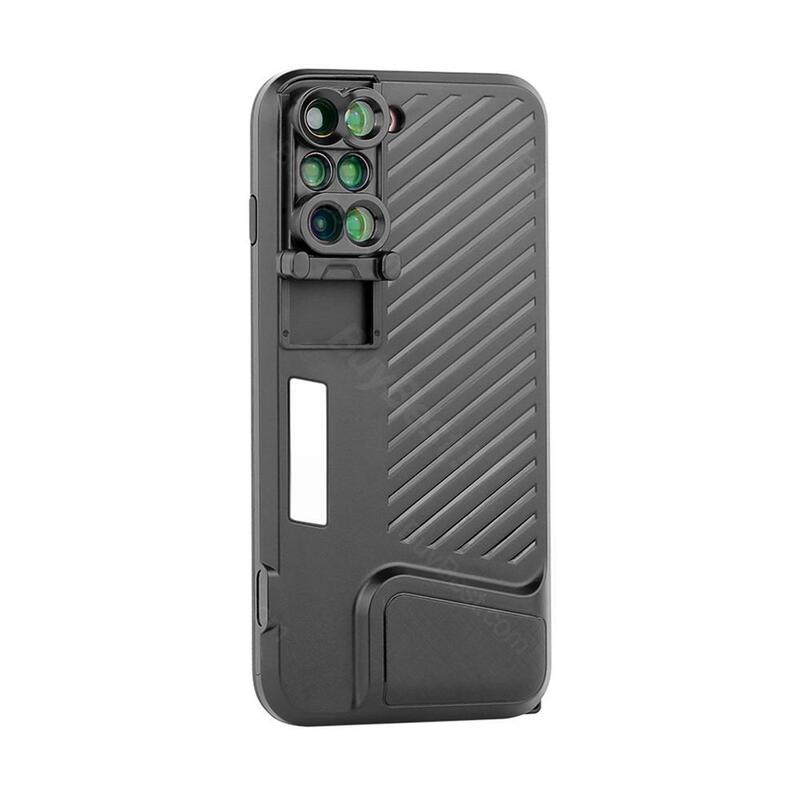 My only design advice I would give would be to make the case go a little higher over the face of the phone for more drop protection, but aside from that it is great and I would recommend it to everyone especially at the price! I have moment lenses and olloclip lenses and this holds up rather well especially when you factor in the convenience of having them with you right on the case. This is a high quality cell phone lens kit with 5 different lenses. The lenses do what they are supposed to do as in description and works great with my iPhone 7 Plus. The pack made it super easy to carry. Highly recommend buying. No matter where I go, I will bring this telephoto lens. It is a really great lens not only fit my IPhone 7 but also fit my new iPhone XS Max. It worth the price, and it looks exactly as it in the video. I recommend this product for everyone who like taking picture through phone. I will buy this product for my friends as Chrismas gift. Once I finally got it in place!! Wish it would work with Otter Box on as it is a headache to take it off and on. Used it the first time tonight at a high school baseball game. Took some goods pics with the telephoto lens. Thought quality was good.Several people sitting around me were impressed with it. I am truly amazed but the quality of these lenses. I have bought like 2 before these, but honestly these are the best ones so far! The telephoto lens is a bit heavy tho, but it works really good. The all do.